Industry 4.0 and Smartcities: what is the role of the Internet of Things (IoT)? We are heading for Industry 4.0 which is fully connected through the application of IoT. This also impacts how we construct our buildings and cities to become smart and support Industry 4.0. 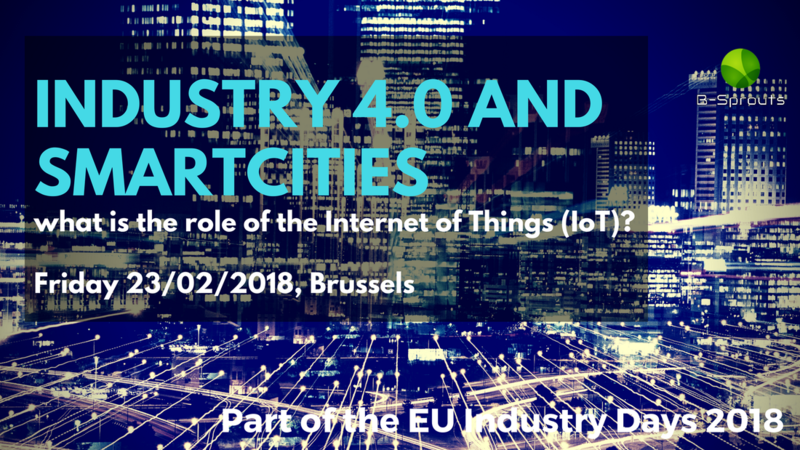 To achieve this stage, talent and technology have to be identified and developed, that enables Industry 4.0 as well as smart cities and buildings to happen, in Europe. Smart cities are a crucial challenge. They are closely related to climate changes and we need them to hit our 2050 - 10 billions humans challenge. Inhabitants, companies and states live in separate worlds, and need places and events to meet in order to innovate together. Why is it an important issue? Smart cities are a crucial challenge. They are closely related to climate changes and we need them to hit our 2050 - 10 billions humans challenge. Inhabitants, companies and states live in separate worlds, and need places and events to meet in order to innovate together. How can we combine IoT and new usages to strengthen environmental friendly industry 4.0 and the future of towns, with co-housing, urban farming, and cradle-to-cradle? Hacking co-housing through digital tools allows modularity and a much larger filling of housing, a better usage of the spaces. How can urban farming be industrialized thanks to co-housing? Urban farming brings food culture closer to its end-users. IoT eases indoor and outdoor urban farming. How can we combine urban farming and cradle-to-cradle? Circular economy organizes building material shifts to reduce its environmental footprint . How can co-housing and circular economy be compatible? We ask a participation fee of €20/person for cost of catering.